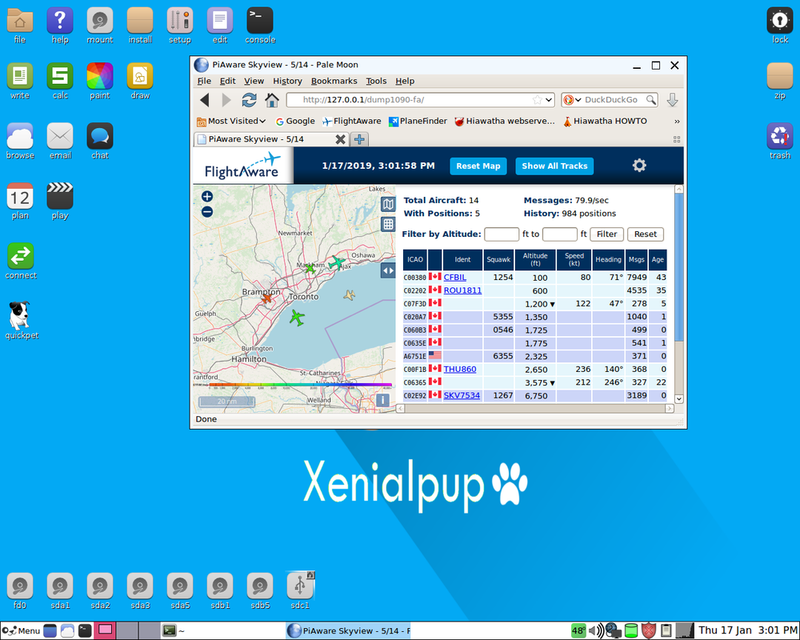 Dump1090-fa decodes and plots on map the signals transmitted by local aircrafts at 1090 MHz. The signals are picked by a small antenna and a USB radio receiver DVB-T (chipsets RTL2832U+R820T2). Due to low cost of Radio+Antenna (manufactured & sold by large number of sellers on eBay & Amazon at an average price of US$10), this software has become very popular. Sun Jan 13 20:50:29 2019 +08 dump1090-fa starting up. 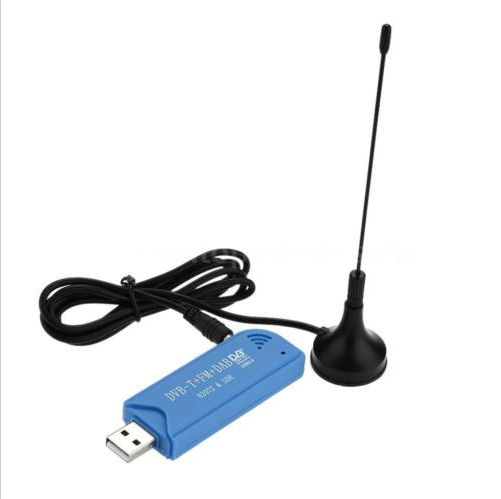 # Description: Receives ADS-B messages from a RTLSDR dongle and decodes it. root# wget -O /etc/udev/rules.d/rtl-sdr.rules "https://raw.githubusercontent.com/osmocom/rtl-sdr/master/rtl-sdr.rules"
Made webserver automatically start at boot. 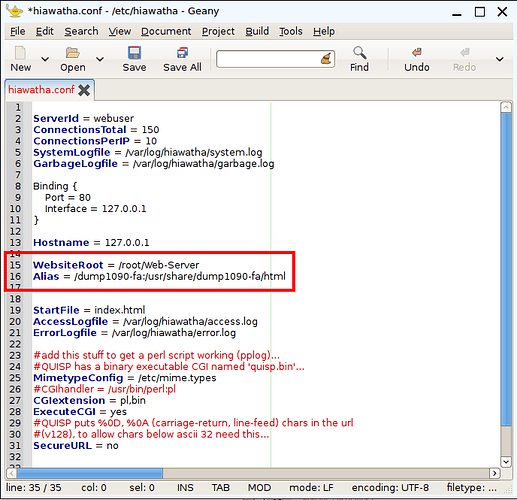 The webserver “Hiawatha” by default does not start at boot, and is to be started manually. 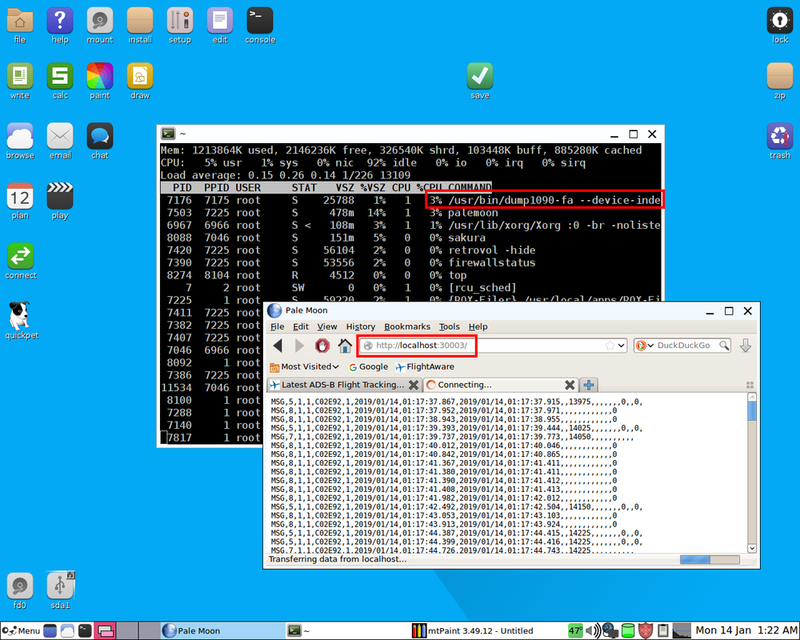 To start it at boot, created a Symlink to the hiawatha’s executable file in folder /root/Startup. Wow, this seems to be very interesting, though I never heard of this software and possibilities.